Posted on July 13, 2016 at 7:42 am. Some 6,737 players have suited up for day one of the 2016 World Series of Poker Main Event in Las Vegas, Nevada. It is the fifth-largest field of all time and the biggest turnout at the Rio All-Suite Hotel and Casino since 2011. 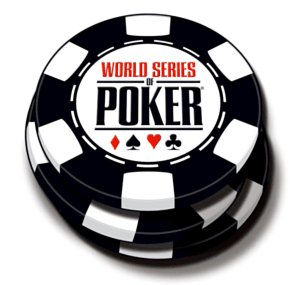 The Day 1C section alone drew more than 4,200 entrants, making it the biggest single starting flight in WSOP history. Such numbers are welcome news for players, fans and tournament organisers alike amid constant concern over the future of live poker. With other hold’em poker events at WSOP 2016 failing to garner as much interest as hoped, it was feared the Main Event would suffer a similar fate. Among the biggest flops was the $565 Colossus II, which fell more than 600 players short of the high mark set by its esteemed predecessor last year. But the bumper turnout for the WSOP $10,000 No Limit Hold’em Championship would appear to contradict the notion that live poker tournaments are in terminal decline. A total prize pool of more than US $63 million means 1,011 of the 6,737 players will finish in the money – another all-time record. The final week of action before the 2016 Main Event threw up plenty of big results. Brian Rast became the second person to win two WSOP Poker Player’s Championships, while Finland’s Jens Kyllönen pocketed $1.1 million with a terrific display in the $25k Pot Limit Omaha event. Yet it was serial headline-grabber Fedor Holz who stole the show with his victory in the $111,111 One Drop High Roller. At just 22 years of age, the high-stakes specialist holds top spot in the Global Poker Index rankings and is Germany’s all-time money list leader. The $4,981,775 collect took Holz’s career earnings to over $18 million – $13m of which has come in 2016 – and marked his first win at the WSOP, where he finished 25th in the Main Event last year. “I just so feel overwhelmed. I didn’t think it would be like this,” Holz said after his victory. “I’m really happy right now… I was very focused coming into this. I told my friends even, that this was going to be a very important week. “I had such a great feeling about this tournament and felt really intense about it, which is why it means so much to me to win it.